The conference is now over, registration is closed. This page is left for information purpose only. 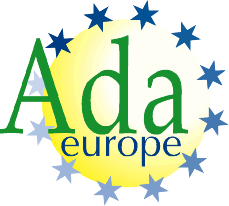 Welcome to the Ada-Europe 2014 registration system! On this page, you will find detailed information about pricing and registration for the Ada-Europe conference and tutorials, its exhibition, and the three associated workshops. Lunch is included for every day of the conference that you attend. Banquet is included in the 3-day conference registration. 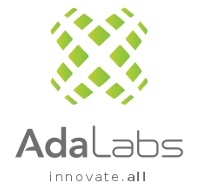 Members discount: Reserved to members of Ada-Europe and members of an “in cooperation with” SIG of ACM (SIGAda, SIGBED, SIGPLAN). Academic discount: Reserved to full-time faculty members of a university or equivalent educational institution. Student discount: The conference offers a limited amount of passes under the “student discount” category. This scheme provides full access to all of the conference program, including lunches, banquet, and complimentary proceedings. Access to the tutorials may also be requested. Applicants for this discount should take contact with the conference chair, providing a copy of a valid student ID. Students that are co-authors of papers accepted for the conference program are eligible for this discount scheme only if at least one other co-author has registered in full. Student waiver program: The conference this year also features a novel scheme that allows students to access the conference program for free, but strictly without any other benefit. Applicants for this student waiver program should take contact with the conference chair, providing a copy of a valid student ID. Contingent on logistics, students will be allowed to also apply for this discount scheme directly at the registration desk during the conference, also showing their student ID. Lunch is included for full day tutorials, and for two half-day tutorials on the same day. Tutorials program is available here. The exhibition is open to the public from Tuesday, June 24th to Thursday, June 26th. Opening hours are 09:30-13:00 and 14:30-18:30. Access to the exhibition is free of charge, but registration is required. Visitors who are not registered to the conference or to a workshop are invited to register to get an access badge. Those who are registered to any other event of the conference do not need to register to access the exhibition. Registration for the workshop is now open. There is a registration fee of 55€ for the workshop, which includes coffee-breaks and lunch on monday. La participation à la journée Ada-France est gratuite dans la limite des places disponibles, et après inscription sur ce site. Attendance to the Ada-France day is free within the limits of available seats, and after registering on this site. Les participants qui le souhaitent ont la possibilité de déjeuner sur place après les présentations en compagnie des utilisateurs d'Ada qui assistent à la conférence Ada-Europe. Cette possibilité est offerte au prix de 40 €. Participants have the possibility of having lunch after the presentations to meet Ada users who attend the Ada-Europe conference. This possibility is priced 40 €. De plus, l'inscription donne le droit d'assister mercredi après-midi aux présentations industrielles et à la rétrospective du compilateur libre Gnat dans le cadre de la conférence Ada-Europe (en anglais). Registration for the workshop is now open. There is a registration fee of 55€ for the workshop, which includes coffee-breaks and lunch on friday.